While divorce is generally governed by state law, the federal government has enacted legislation that applies to divorces involving servicemen and servicewomen. For example, federal law covers when a military divorce proceeding may take place, under what circumstances it may be postponed, and how an active member of the military may be served. On the other hand, Florida law provides specific residency requirements for military families. You must have been a resident of Florida for at least six months or be stationed in Florida in order to legally qualify for a divorce in the state. One of the most unique aspects of military divorce is how military pensions are handled during the distribution of marital property. The federal government enacted the Uniformed Services Former Spouses’ Protection Act (USFSPA) to govern how military retirement benefits are calculated and divided upon divorce. Under the law, a military member’s retirement benefits will not be divided and distributed unless he or she has been married 10 years or longer while on active duty. 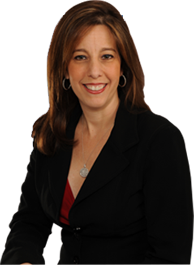 If you are in need of a Fort Lauderdale military divorce attorney to handle a military divorce in Florida, please contact Sandra Bonfiglio, P.A. to schedule a consultation at our office in Fort Lauderdale. We serve clients throughout the coastal communities of central and southeast Florida.